Heroes: Love Abounds banner re-run, and Tap Battle returns! 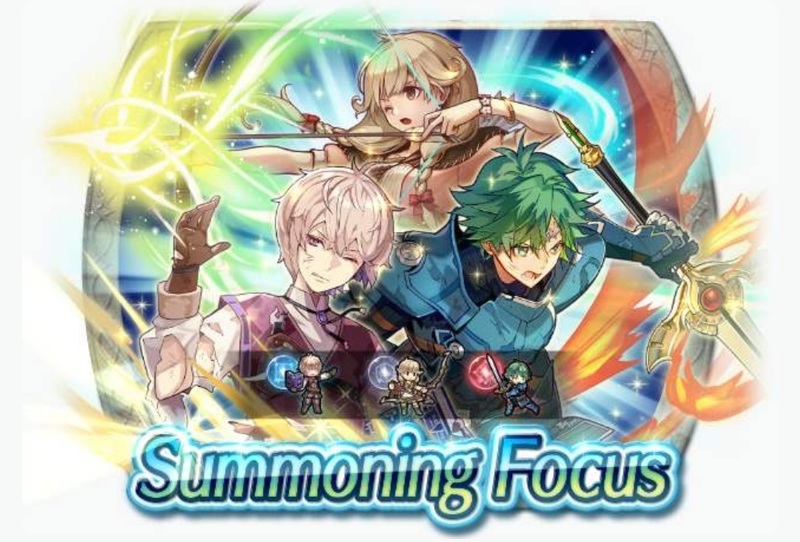 Today’s FE Heroes news brings us a re-run of last year’s Valentines banner: Love Abounds! 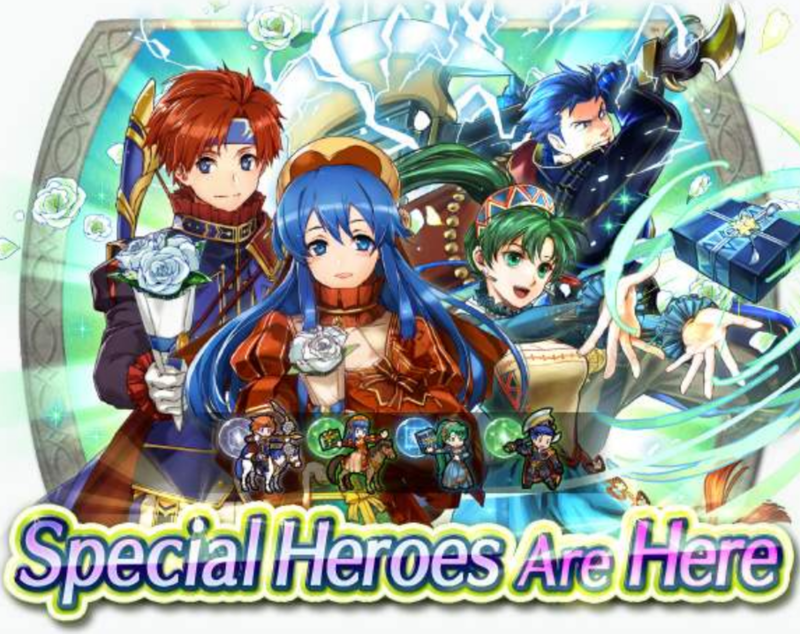 The banner features Lyn: Wind’s Embrace, Hector: Just Here to Fight, Lilina: Blush of Youth, and Roy: Youthful Gifts. The banner will begin today, and is available until the 11th of March, 6:59AM UTC. 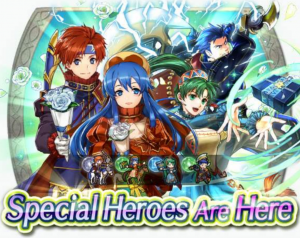 If you desire any of these Heroes, this is probably your best chance until next year. 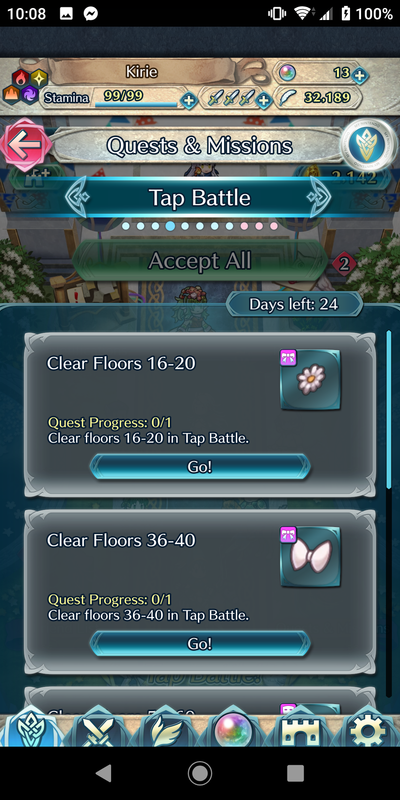 Also arriving today: A new season of Tap Battle is here! 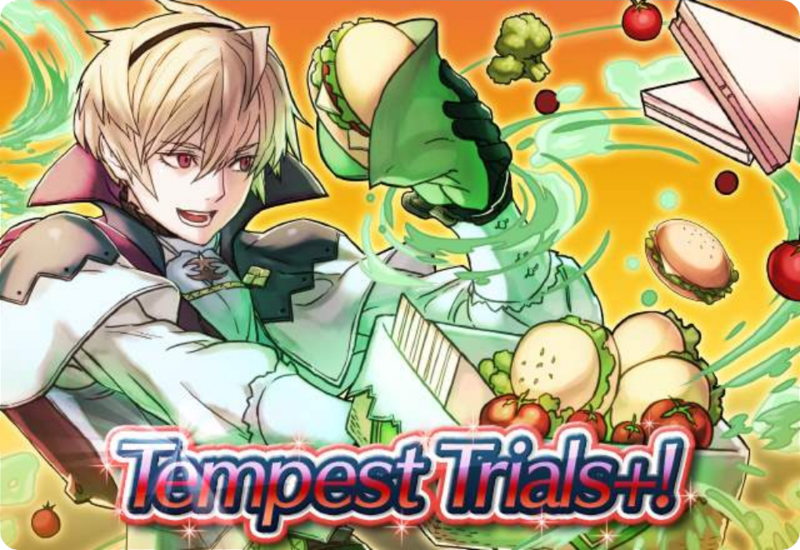 Illusory Dungeon – Carrying the Flame begins today, and will end on the 4th of March, 6:59AM UTC. 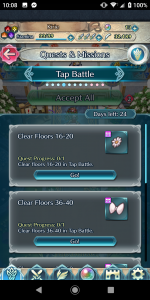 As well as the usual rewards for completing dungeon floors, there will also be Tap Battle quests available, where you can earn up to 10 Orbs and accessories – a vibrant, red Flower Band, and a rather fetching pink Floral Headband (see image above). 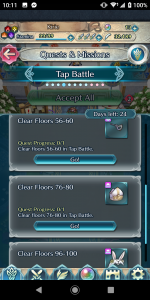 Not to forget the daily quests which will net you some Feathers and Badges, available daily until the 18th of February, 6:59AM UTC. Illusory Dungeon has been updated! 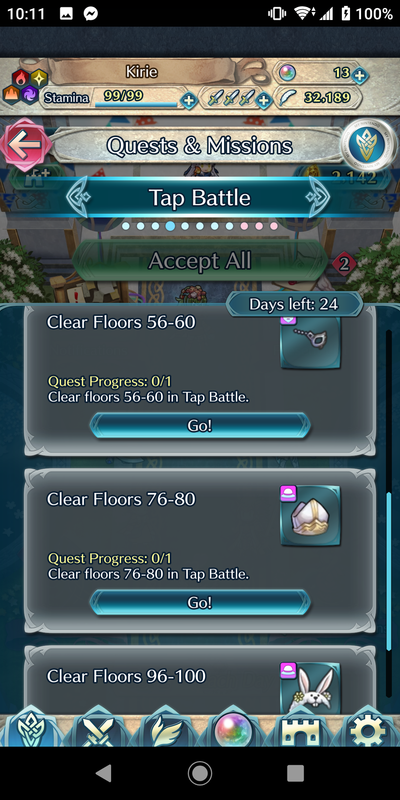 The new Tap Battle: Kingdom of Nohr features, as you may guess, Heroes and music from the Kingdom of Nohr. 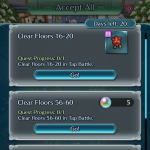 Rhythmically or furiously tap your way through 100 floors and three extra stages throughout the event to earn yourself rewards, including Orbs and new accessories to deck out your Heroes! 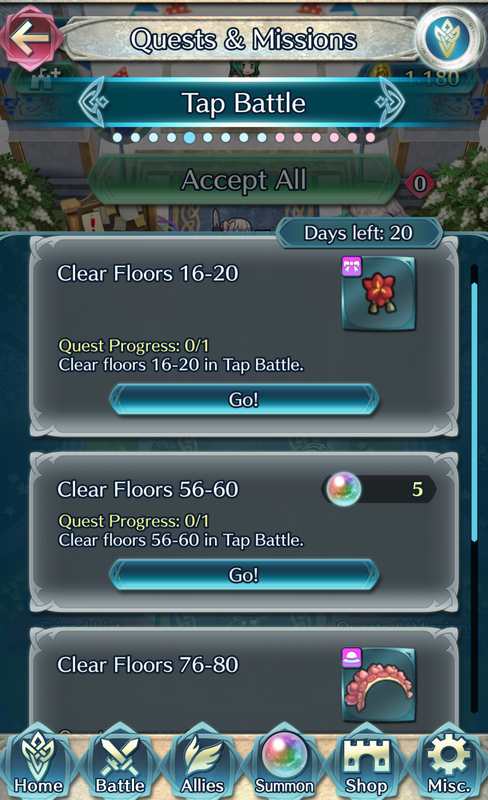 Additionally, there are daily quests as the event is running so you can earn yourself some extra Feathers and Badges. The event begins today, and will end on the 7th of February, 6:59AM UTC. Also confirmed earlier today: an in-game bug related to the most recent Legendary Hero – Azura: Vallite Songstress. The bug occurs when when a player uses Legendary Azura’s movement assist skill (e.g. Sing/Gray Waves), has her weapon Prayer Wheel equipped, and has support animations set to “off” in the settings menu.